For the Midsummer Festival in Cork, Ireland, Superflex has made a new artwork Today we do not use the word Recession that invites all the citizens of the city te involved. 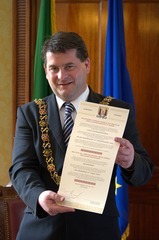 Superflex encouraged The Lord Mayor Cllr. 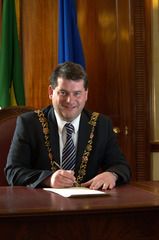 Dara Murphy to bring a proposal to the city council that would ban the use of the word Recession in the city of Cork. 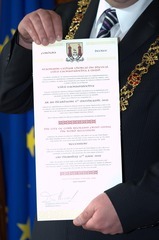 Out of this came a decree advocating that for one day, on June 17th 2010, the citizens should refrain from using the word Recession.